The stage is set for one of the biggest game of the year. Chelsea fans can't wait for the game to kick-off and Barcelona fans are scared of the only team that gives them much trouble in Europe. 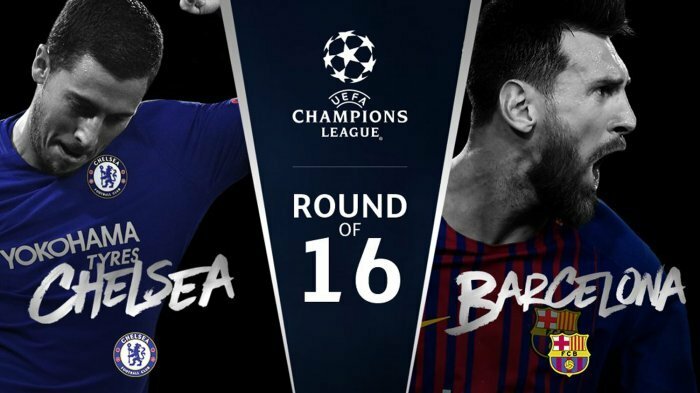 It's will be a creaker on Tuesday night and a win for Chelsea will be an advantage for them to take to Camp Nou for the return leg. 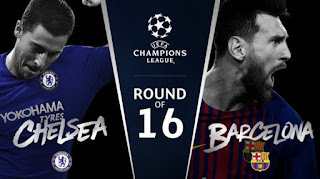 However, in a pre-match interview, Chelsea Boss Antonio Conte revealed the London side need to play a 'Perfect Game' in order to have a chance against the Spanish side. "On the other hand, we must be excited because we have a great opportunity to play a massive game against a really strong team and show which is our level." "For sure we are talking about one of the best teams in the world. We have to try to, I repeat, have the perfect game, the perfect game to try to make the best decisions. "For this type of team, because this is a different opponent, they have fantastic characteristics with the ball. But they have weaknesses without the ball and we have to try and exploit this." Note: Only predictions on the blog post counts, all other prediction on social media does not count. 'Prediction closes 6pm tomorrow 20 -2 -2018' and only the first two correct scorelines will be taken.